"CANVAS KID" COWBOY HAT EA. 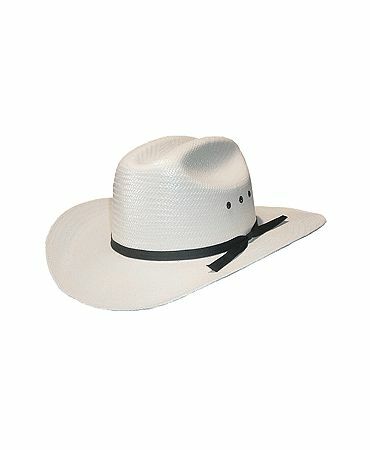 BULL RIDER PALM LEAF COWBOY HAT LC/M EA. The Cisco hat by Resistol is a part of the "Wool Felt Collection". Infamous William H. Bonney, aka Billy the Kid, was known for his gun slinging ways in spite of his young age. Cool and casual, you may not be the fastest gun in the west, but at least you'll look the part in the Quick Draw from Bullhide. Get to know your inner cowboy with the Englewood western hat from Bullhide. It won't take long for you to come around to this Go-Round. From Bullhide's popular Rodeo Round-Up Collection, the Go-Round has a paneled skinny hat band in alternating colors of leather-like material and metallic accents.